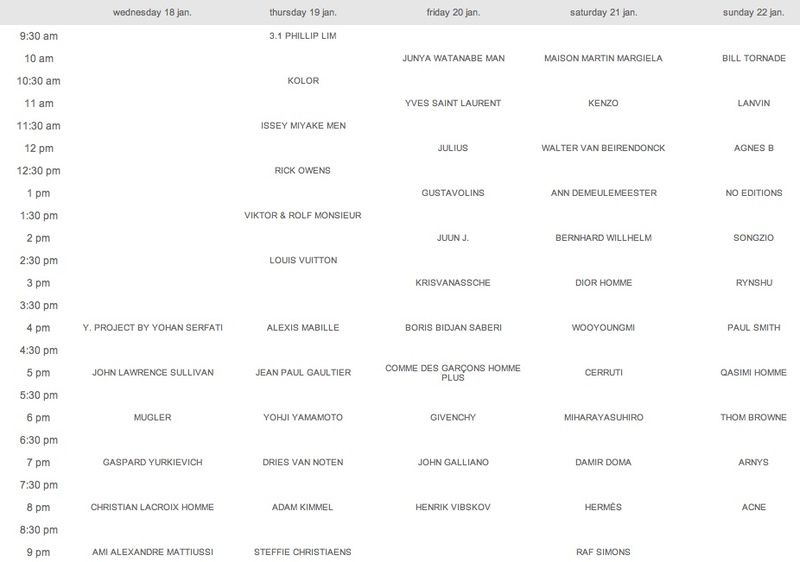 There's no better way to start the year than giving you guys the official schedule of the upcoming Paris Fashion Week - Men's Fall Winter 2012/2013. Too bad I'm missing it again. I guess I will have to wait til summer time! This is definitely going to be an interesting season! Looks like there's a slight change to the regular lineup. 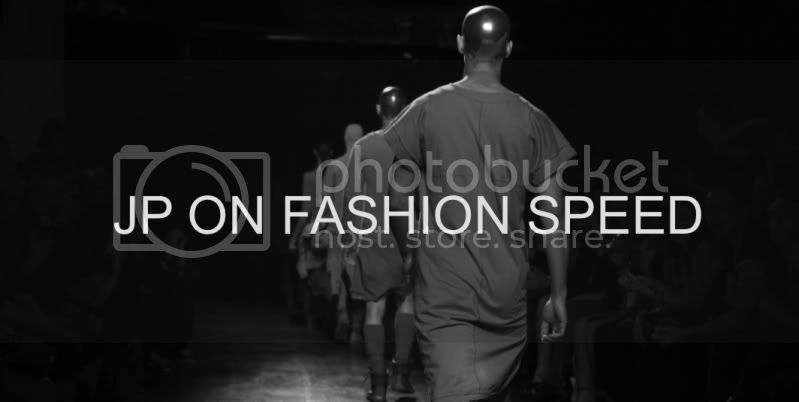 I'm happy to announce that this season two of my favorite designers, French designer Gaspard Yurkievich and Japanese designer Miharayasuhiro are both returning to the runway after hibernating last season. Also, I'm excited to report that Yohan Serfati, Kolor and Phillip Lim are all going to participate for the first time this season! Definitely something to look forward to! Hopefully next season I'll be able to watch Yohan Serfati since I'm a really big fan of his work! The only label that I'm not really familiar with in this new lineup is No Editions. 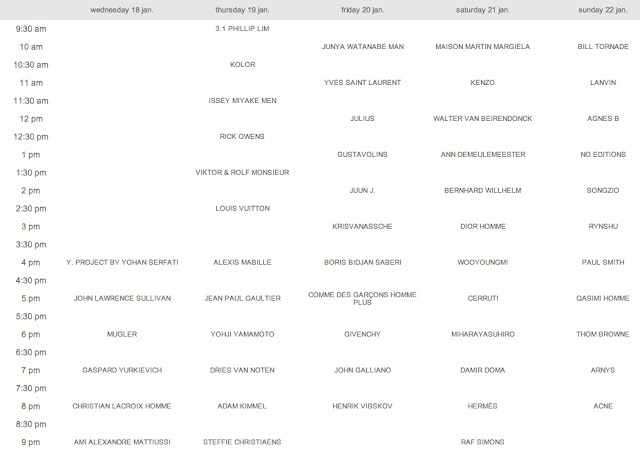 I better start doing my homework before fashion week starts three weeks from now! 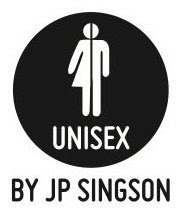 Rick Owens, Yohji Yamamoto, Dries Van Noten, Julius, Juun J., Boris Bidjan Saberi, Comme Des Garcons Homme Plus, Henrik Vibskov, Walter Van Beirendonck, Dior Homme, Miharayasuhiro, Damir Doma, Raf Simons, Songzio and Qasimi Homme are the ones I'm really excited to see this season! How about you? Which shows are you dying to see? Can't wait to see the new trends hitting the floor next fall/winter!!! Need to start saving up again!